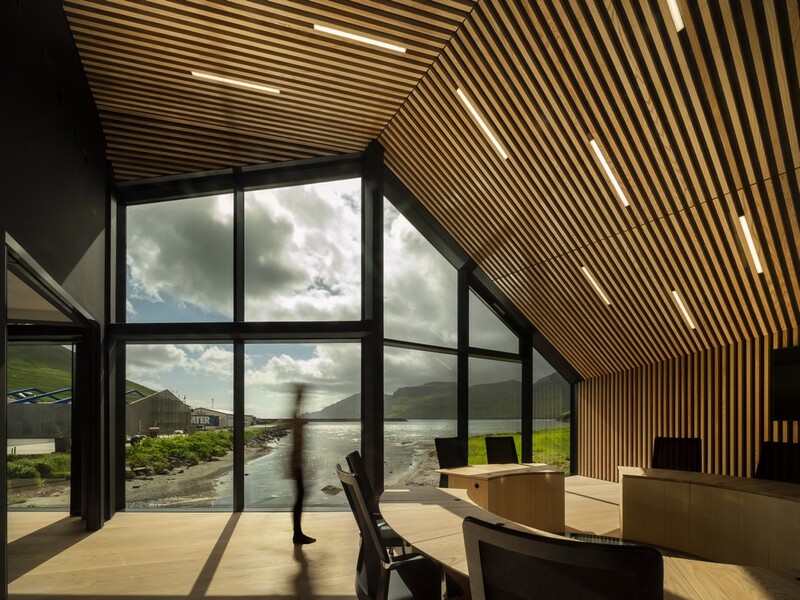 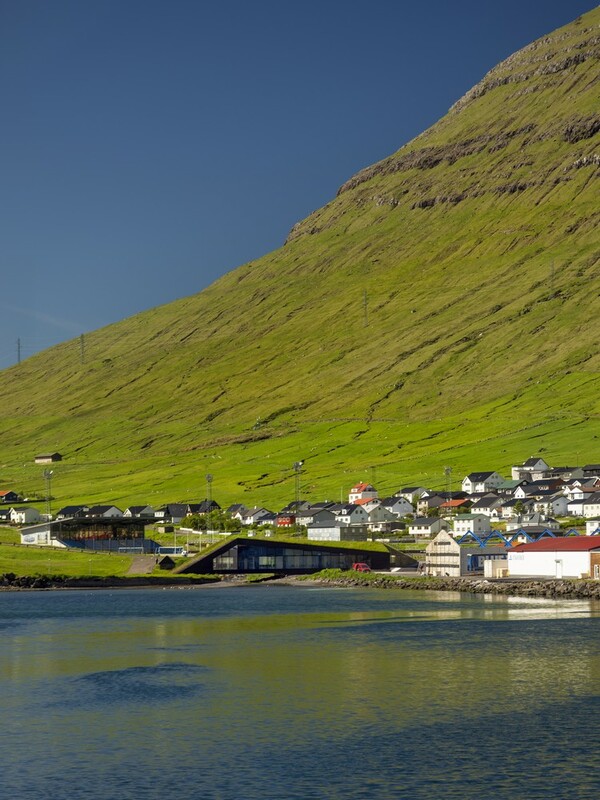 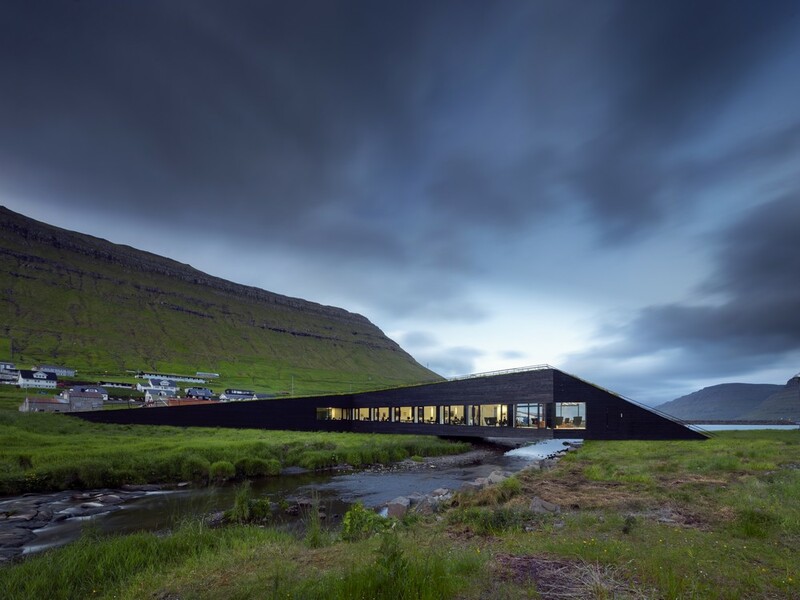 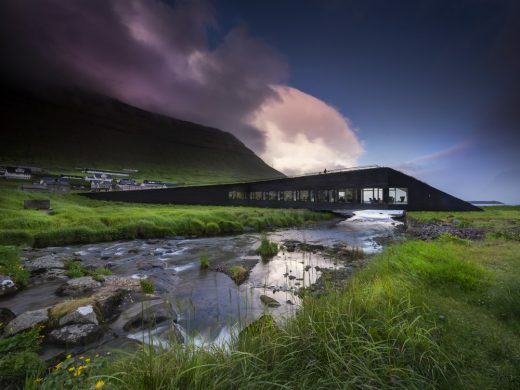 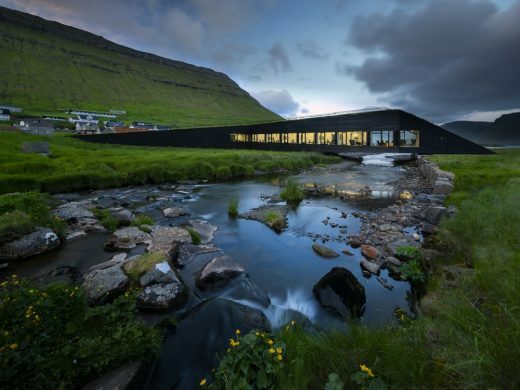 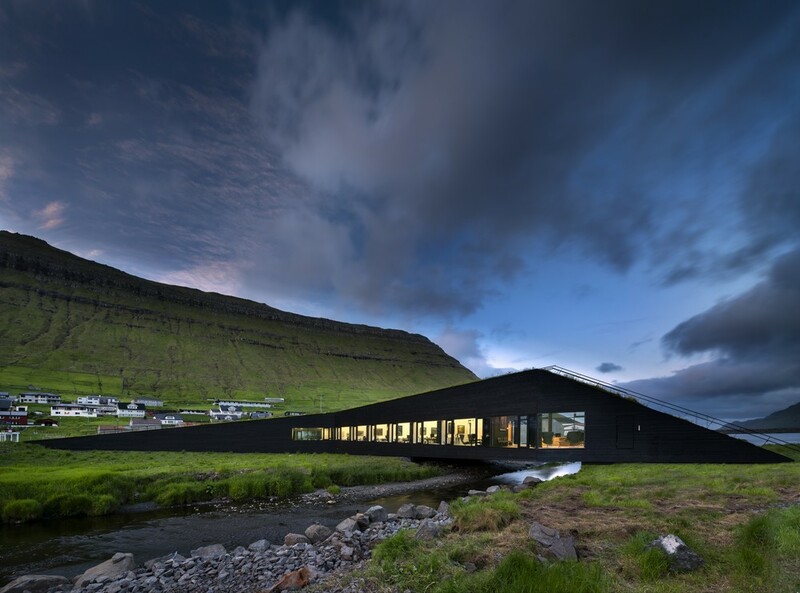 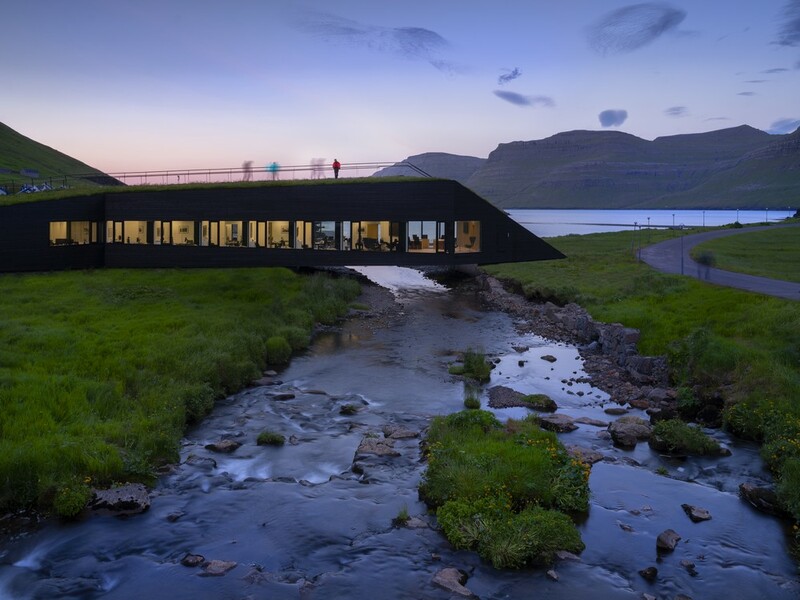 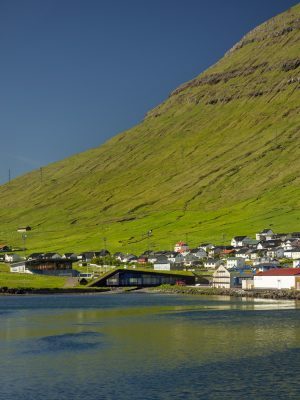 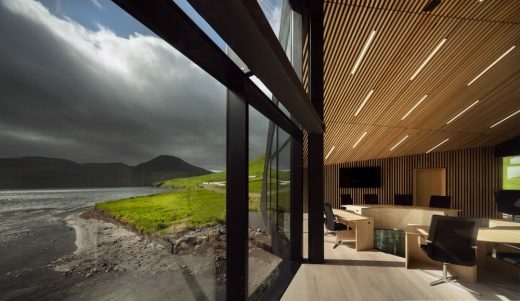 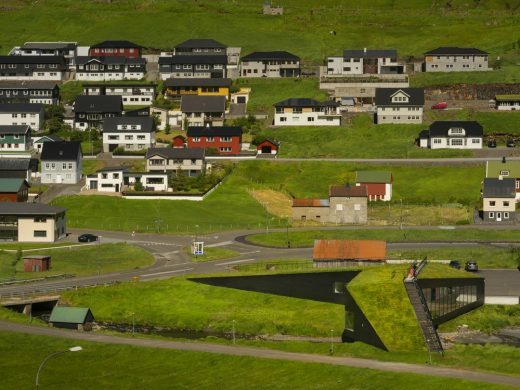 Located in the breathtaking Faroese landscape, the 750 sqm green roofed town hall of Eysturkommuna bridges the river in the village of Norðragøta and unites what used to be two separated municipalities into one. 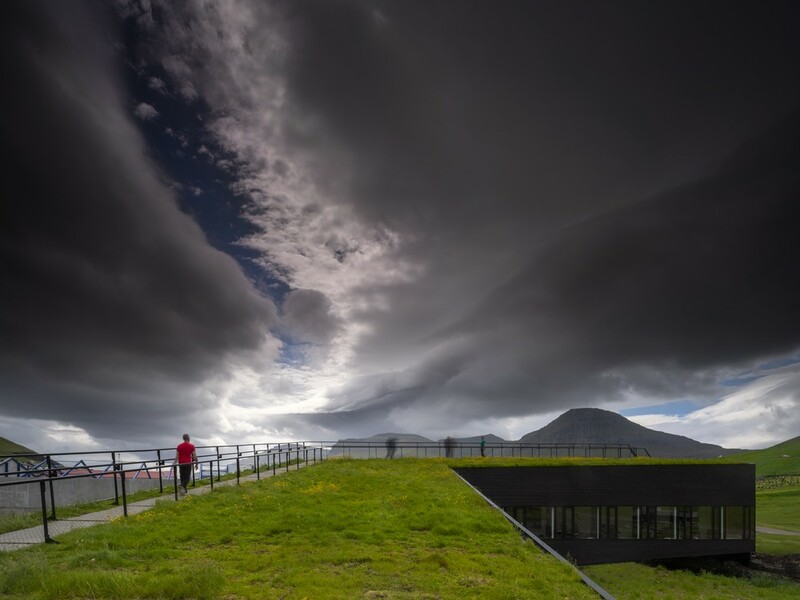 Discreetly cut into the lush landscape, seemingly floating between the river and the green grass blanket on the roof, the town hall forms the new workplace for the City Council and the administrative staff of the small Eysturkommuna. “Many contemporary contributions to Faroese architecture directly copy elements from traditional buildings. 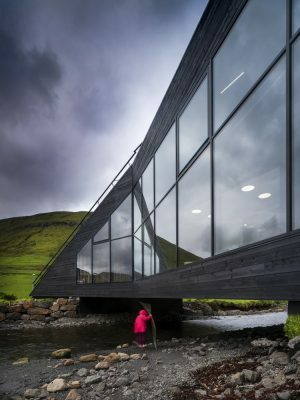 I find it much more interesting to look into the underlying thoughts of traditional buildings. ” Osbjørn Jacobsen, Partner at Henning Larsen says. “A central theme in traditional Faroese architecture is the blurred line between nature and building, the fact that the spectator has difficulties distinguishing where the landscape ends and the building begins. 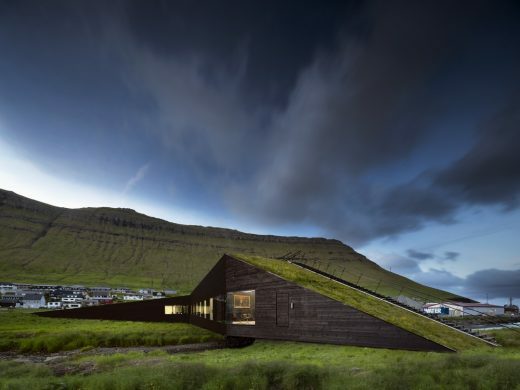 The primary conceptual idea behind the design of the town hall is driven by the notion of this fleeting line between landscape and building. 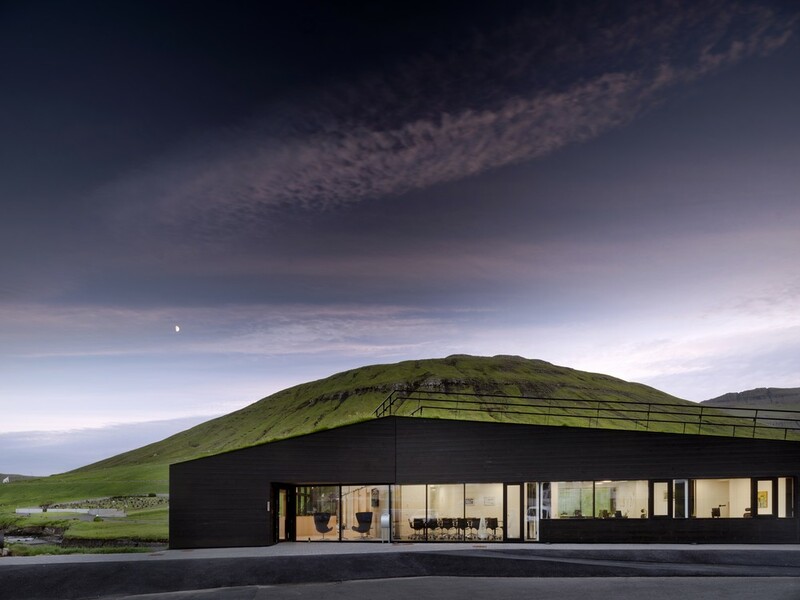 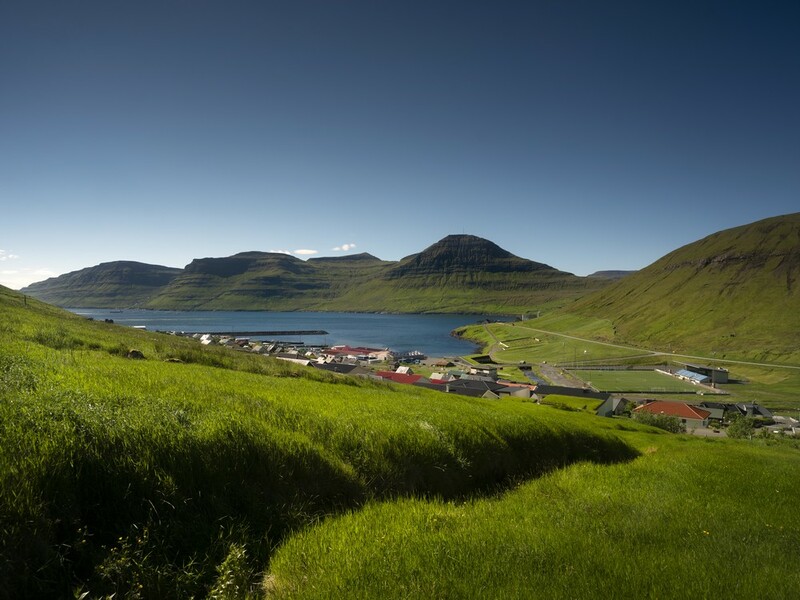 I believe that could be one way to approach modern Faroese architecture,” Jacobsen continues. 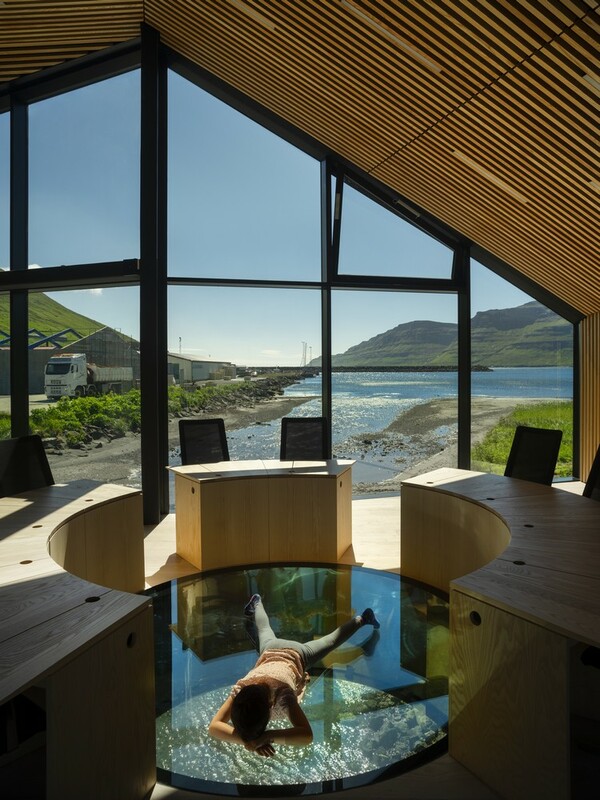 In the City Council Hall, you clearly senses the closeness to nature and the river, visible through a circular mirror lined glass-covered opening in the floor. A destination for the local community Town Hall Eysturkommuna assumes the important task of establishing a space that will revive the local community. The terraces and roof are open to the public, people can come to have picnics and swim in the river and concerts, talks and exhibitions are hosted inside the building. 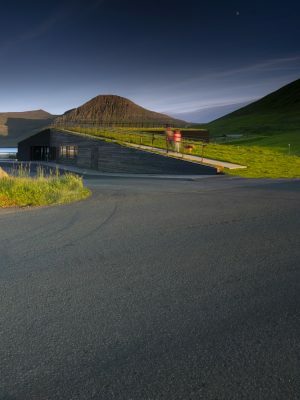 An exterior sound and light installation of artist Jens Ladekarl Thomsen, drawing from sounds and structures of the local society and nature, let passers-by believe that ‘the house speaks’ with its surroundings. 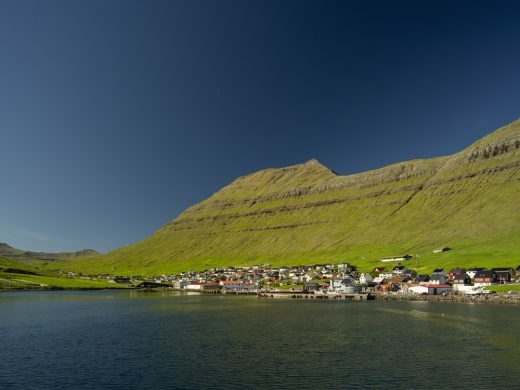 Before the fishing industry made its entry with a large and important factory, the attractive local beach was the natural gathering point at special occasions. 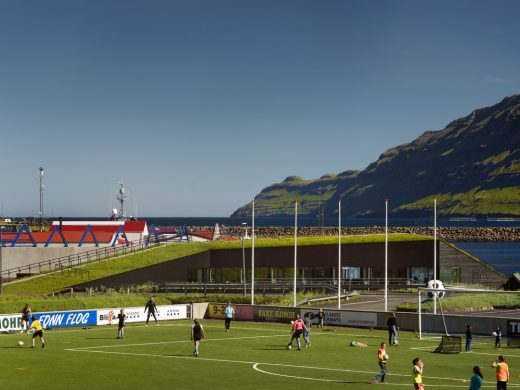 According to plan, the town hall is the first of more buildings to reclaim public life in the center of Norðragøta. Eysturkommuna covers five different settlements of total 2000 inhabitants.